Back in stock: Schoolhouse Press. 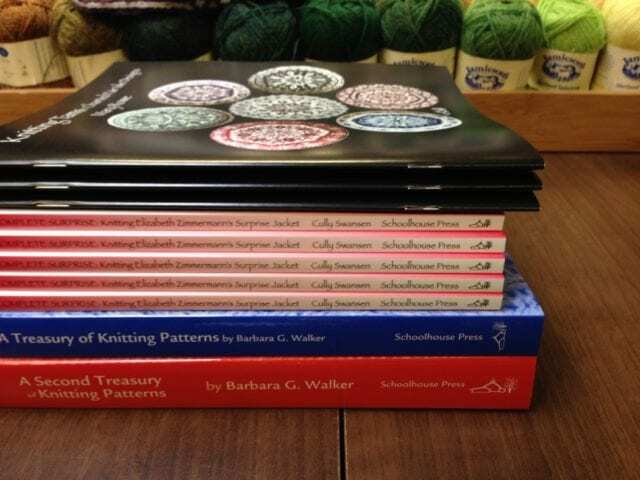 Every so often we find ourselves running low on books or patterns from Schoolhouse Press, and when it’s time to reorder, Anne and I love checking their website for a new book or pattern that we might bring in along with our old favorites. We had run out of Elizabeth Zimmermann’s classic “Adult, Baby and Child’s Surprise Jacket” pattern, along with her grandson Cully Swansen’s The Complete Surprise. The first two volumes of Barbara Walker’s treasuries had sold out over the holidays, as had Mary Rowe’s book of fair isle tams. All of those had to come home to our shelves, but we wanted a little something new, too. 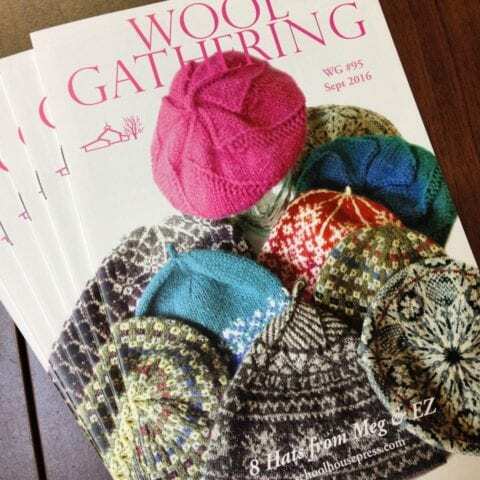 This new-to-us issue of Wool Gathering caught our eye, perhaps because of the fair isle that we love so well. These 8 hats are knit in a variety of gauges and styles, all cleverly designed by Meg Swansen and her late mother, Elizabeth Zimmermann. Look for them in our Schoolhouse Press pattern binder, by the front window. 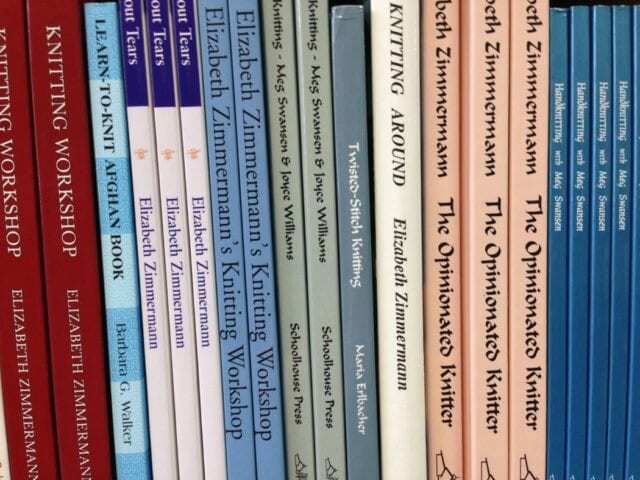 We try to keep most, if not all, of Zimmermann’s books in stock here at the shop, along with a variety of other Schoolhouse Press publications. Come by the shop to browse them all!